NextDayFlyers is honored to work with nonprofit organizations to help them meet their goals. 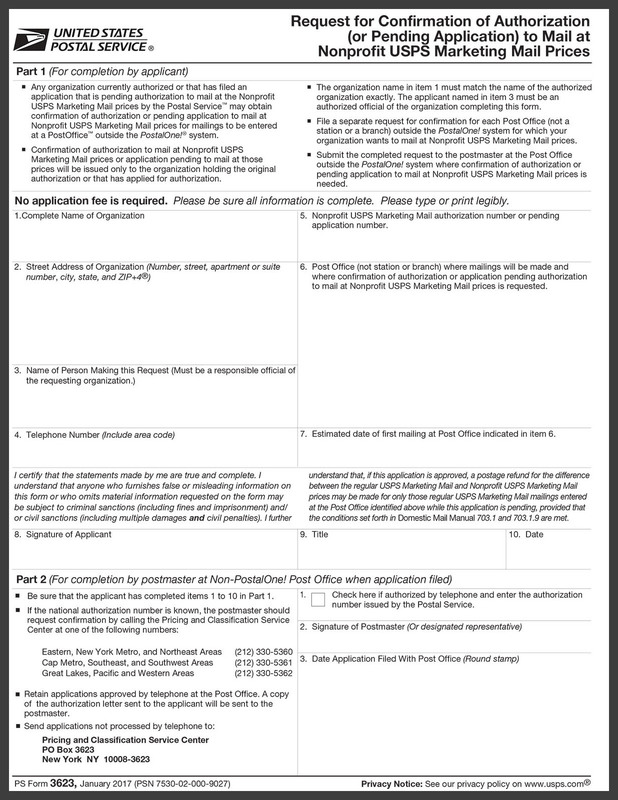 All we require is for nonprofits to fill out the 3623 form provided by the United States Postal Service (USPS). Any organization can apply for the special rates as long as they meet the specific eligibility rules that apply to nonprofit USPS marketing mail. For more information, please visit the USPS website.